The Rorschach is not dependent on self-report and it does not require any reading and writing. It is instead an information-processing, problem solving task in which the respondent is presented with ink blots and asked what they look like. The Rorschach is particularly good at capturing information about a person as an individual. The intentionally ambiguous nature of the inkblots means that each person’s response to them is unique, and rich in descriptive data. At the same time, standardisation enables psychologists to compare each individual with a normative sample to make accurate predictions about personality functioning. The Comprehensive system is based in empirical, psychometric research (for example, see Acklin, 1999). Responses are scored and the scores are combined into indices which can be compared to a normative sample. The way in which the respondent organises his or her responses provides a picture of how perceptions, thoughts and feelings are structured and processed. It is a complex, organic system, where the different personality variables inter-relate in ways that reflect our understanding of personality functioning. This also means that teaching the test and learning to use it properly are labour-intensive endeavours. Although it is not psychoanalytic per se, the findings that the Comprehensive system yields can be integrated with this approach, as Gacono and Meloy (1994) did in their classic text on assessing antisocial and psychopathic individuals with the Rorschach. 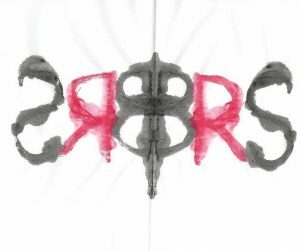 There are interpretative approaches to the Rorschach which are explicitly psychoanalytic (for example, Lerner 1991), but the main system that members of the British Rorschach Society use is the Comprehensive system (Exner, 2003). We are aware of the Rorschach Performance Assessment System (Meyer, Viglione, Mihura, Erard & Erdberg, 2011) but most of our members do not use this system for a variety of reasons. Acklin, M. (1999). Behavioral science foundations of the Rorschach test: Research and clinical applications. Assessment, 6, 319-326. Exner, J. E. (2003). The Rorschach: A Comprehensive system. Volume 1. New York: Wiley. Lerner, P. M. (1991). Psychoanalytic theory and the Rorschach. Hillsdale, New Jersey: The Analytic Press. Meyer, G. J., Viglione, D. J., Mihura, J. L., Erard, R. E., & Erdberg, P. (2011). Rorschach Performance Assessment System™: Administration, coding, interpretation, and technical manual. Toledo, Ohio: Rorschach Performance Assessment System, LLC.